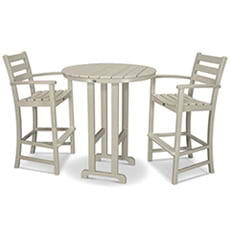 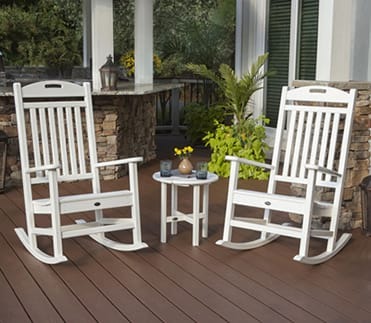 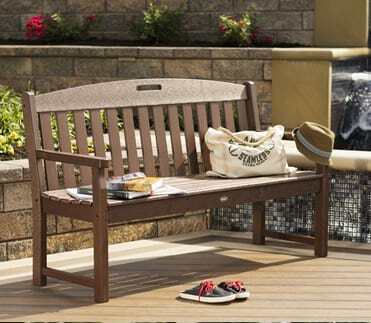 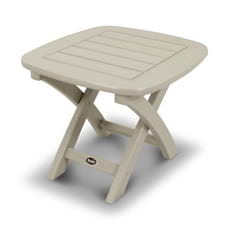 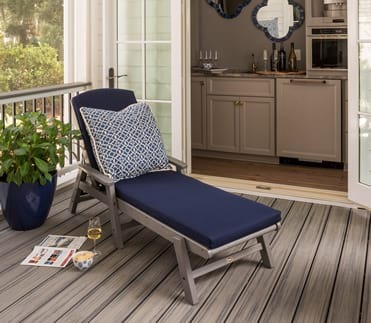 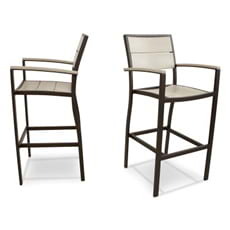 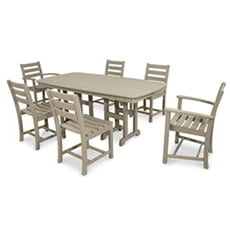 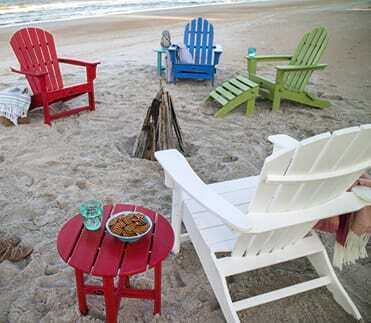 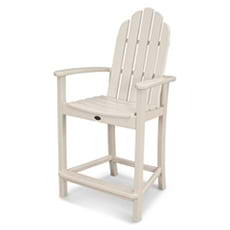 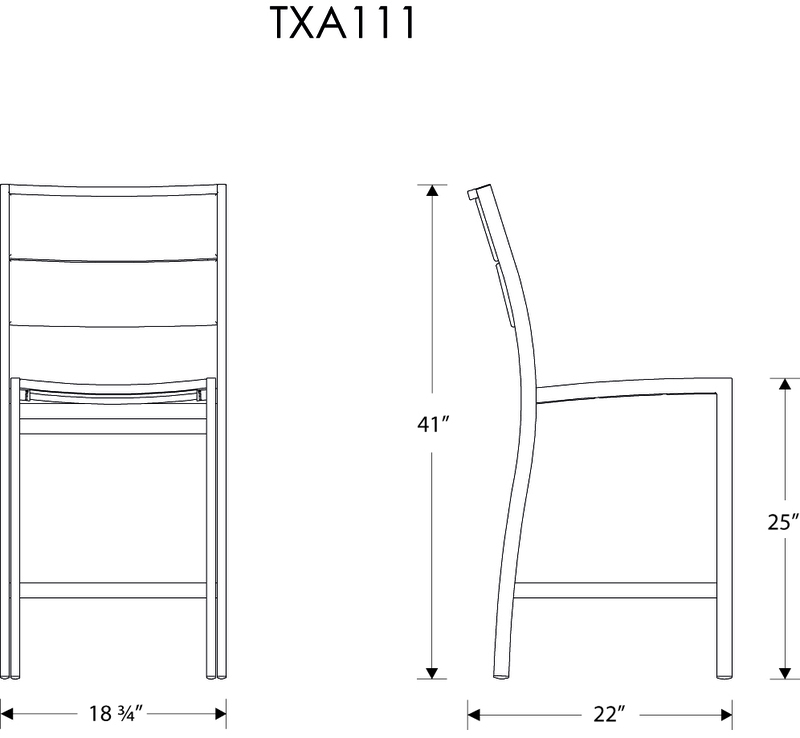 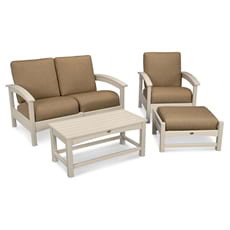 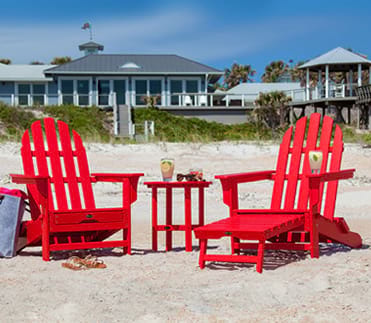 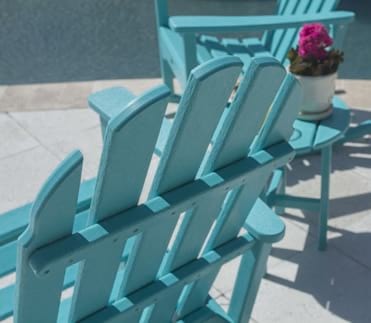 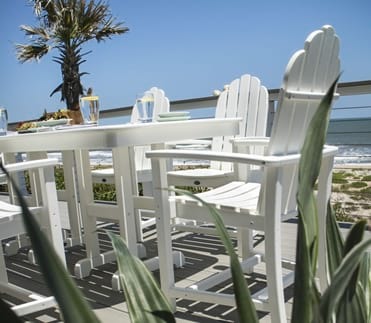 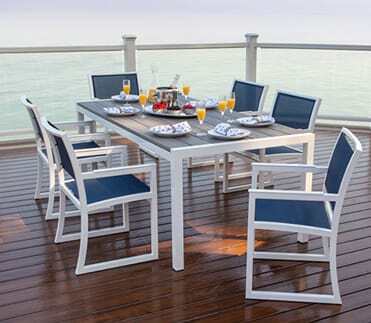 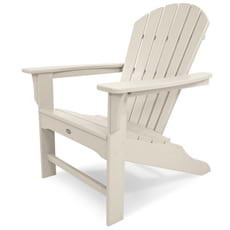 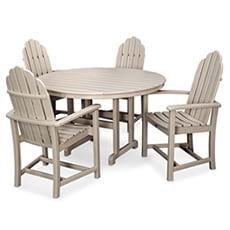 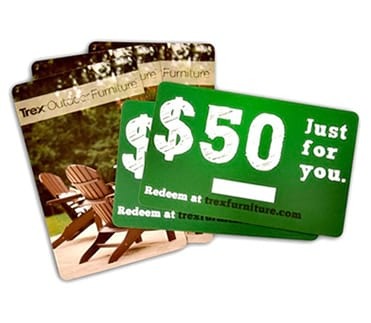 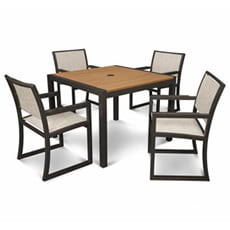 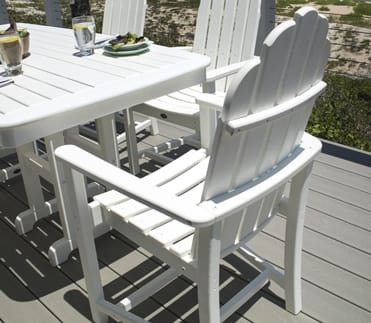 Make your outdoor dining and entertaining space a stylishly comfortable place to sit and relax with the Trex® Outdoor Furniture™ Surf City Counter Side Chair. 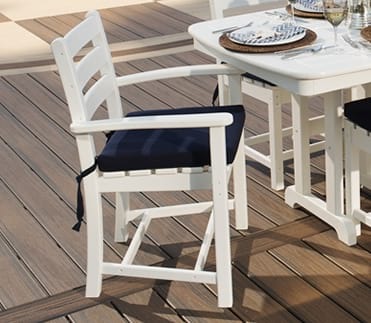 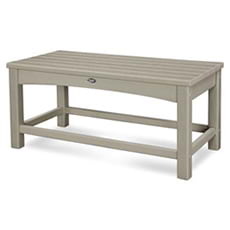 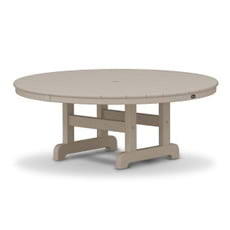 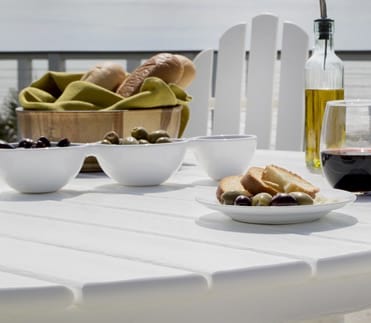 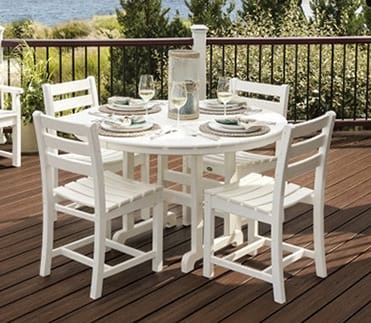 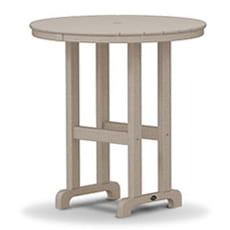 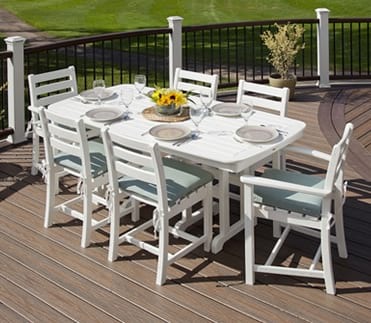 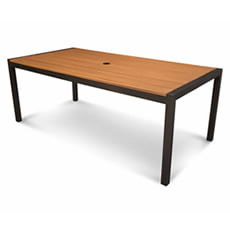 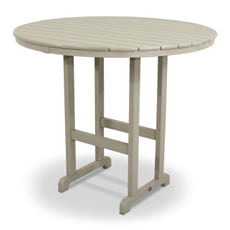 It's the perfect complement to any Surf City Counter Table and since it comes in a variety of attractive, fade-resistant frame and slat colors, you're sure to find the right combination that not only matches your table, but also coordinates with your Trex® deck. 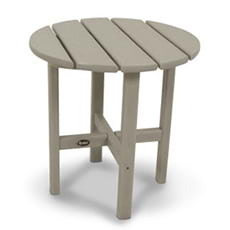 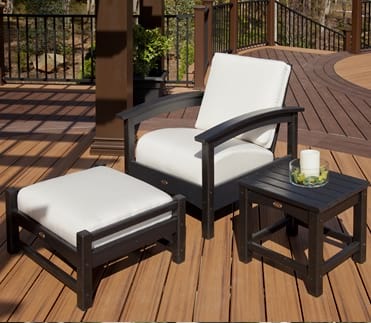 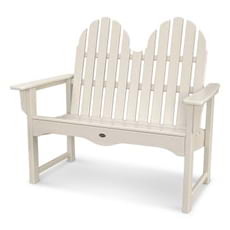 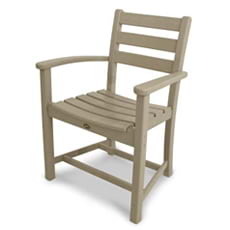 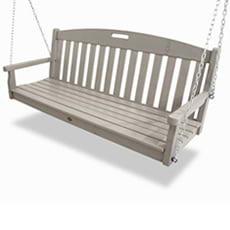 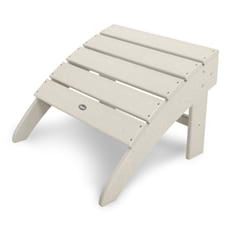 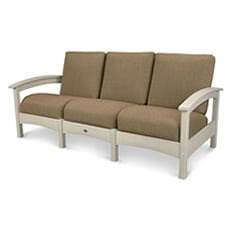 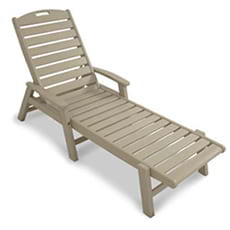 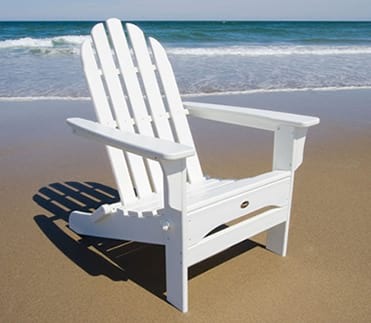 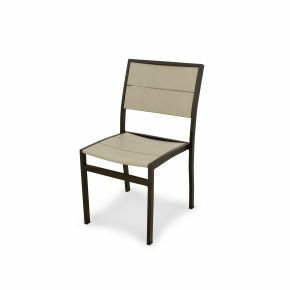 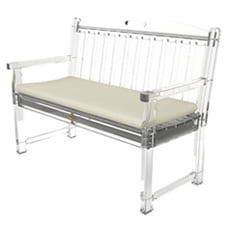 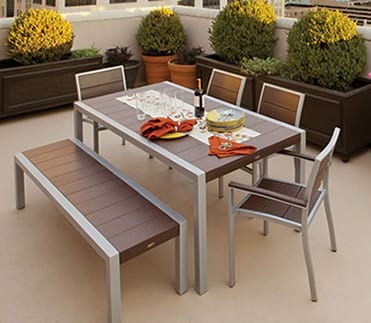 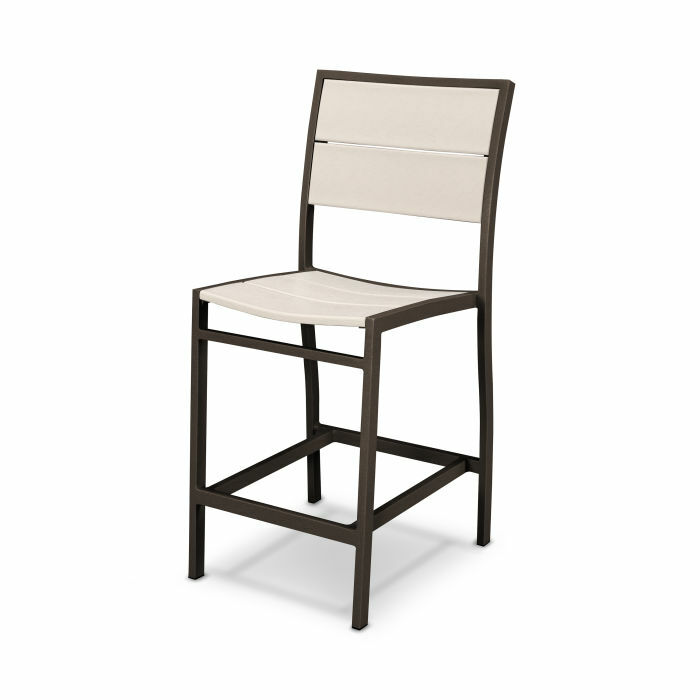 This environmentally friendly chair is made in the USA with a sturdy, powder-coated aluminum frame and durable HDPE recycled lumber slats. 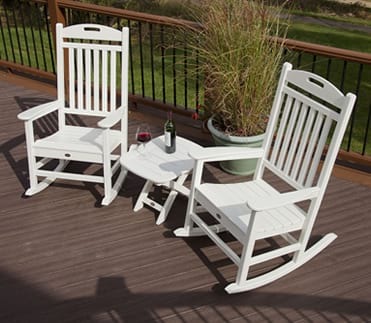 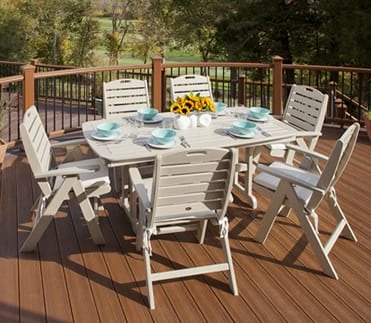 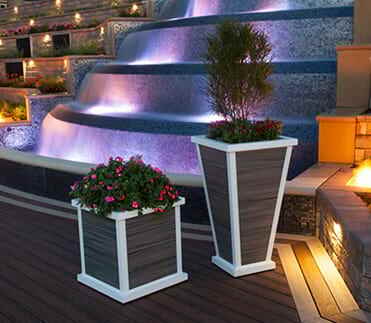 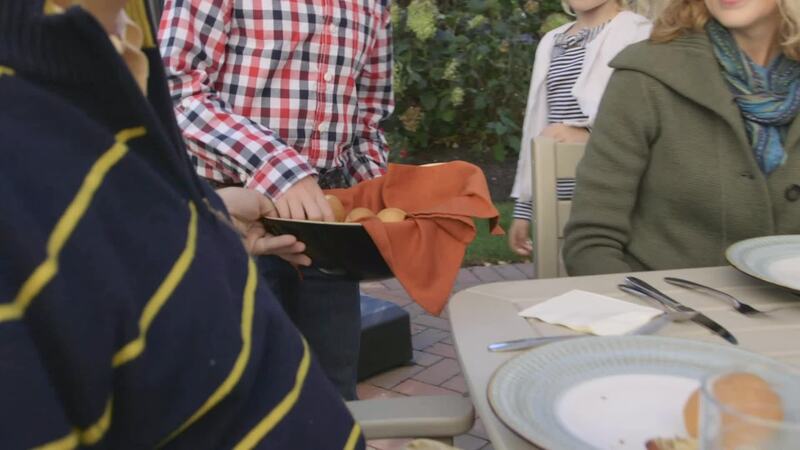 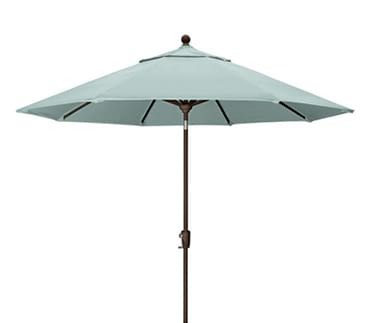 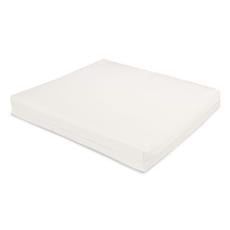 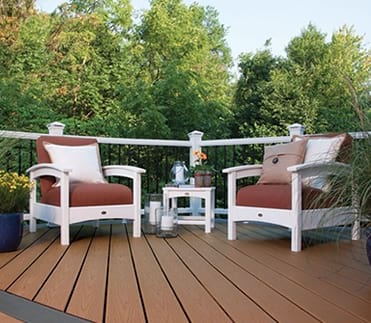 It's easy to clean, resistant to weather and environmental stresses, and won't rot, chip or splinter. 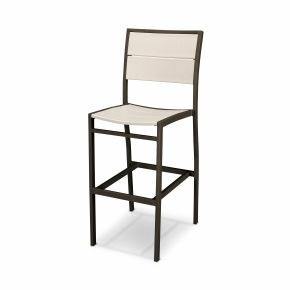 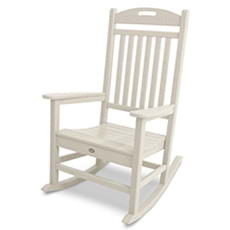 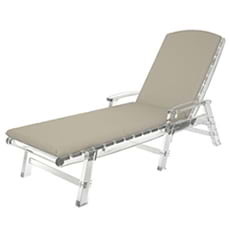 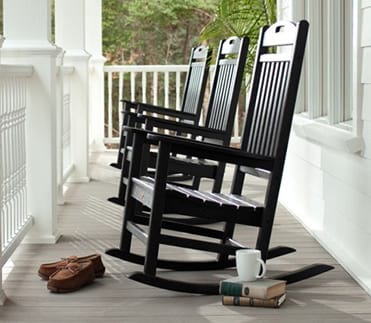 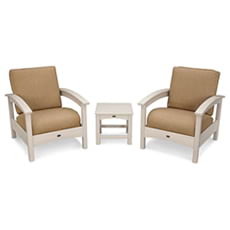 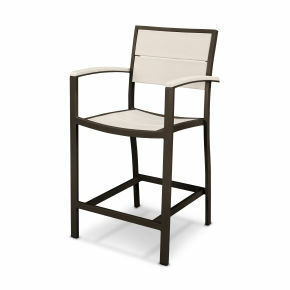 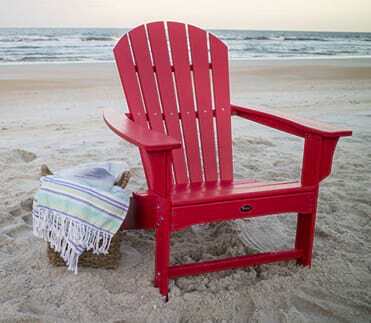 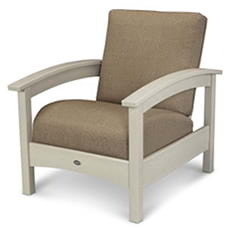 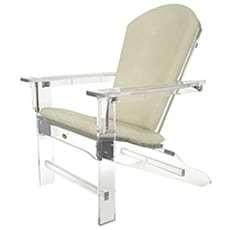 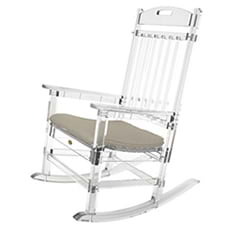 Backed by a 20-year warranty, this chair offers outstanding performance, longevity and low maintenance.